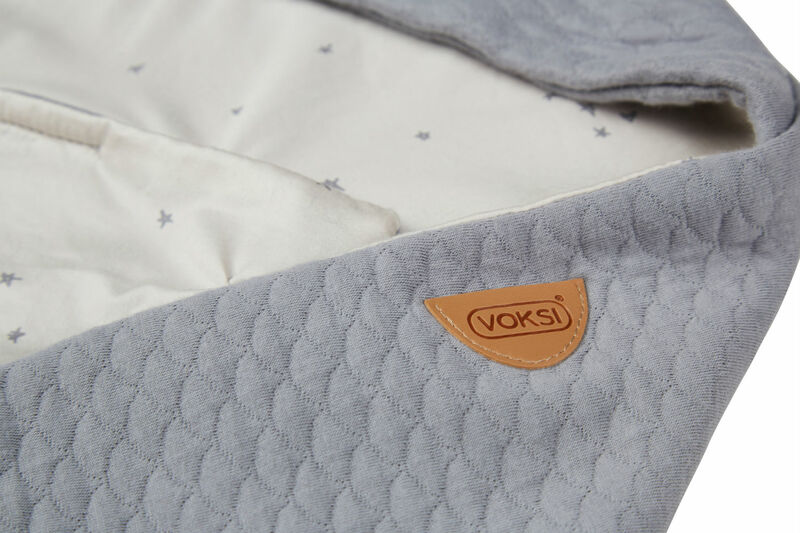 We’ve given our popular Voksi® Baby Wrap the winter treatment with three new cosy colours, backed with a lining of twinkling stars. 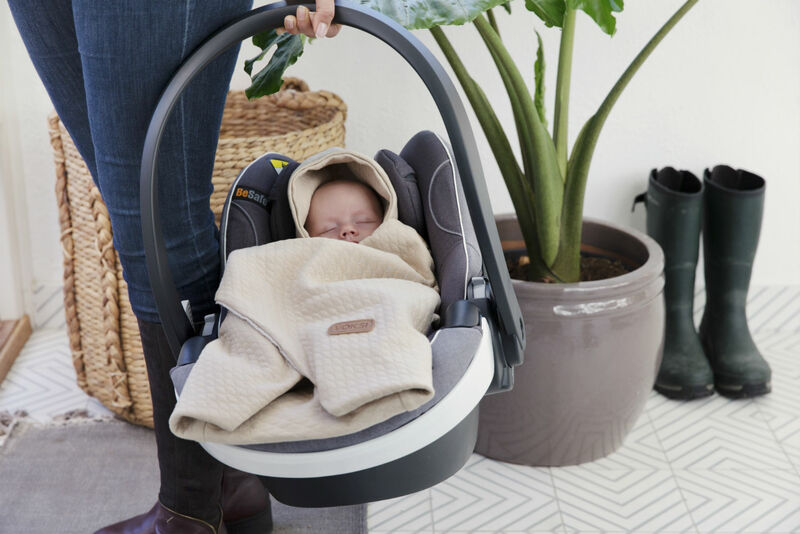 An essential accessory for families on the go, the Baby Wrap provides a comfortable and familiar environment for your little one while you’re out and about. It fits most baby car seats and strollers and back openings at different heights make it easy to adjust to a variety of harnesses. 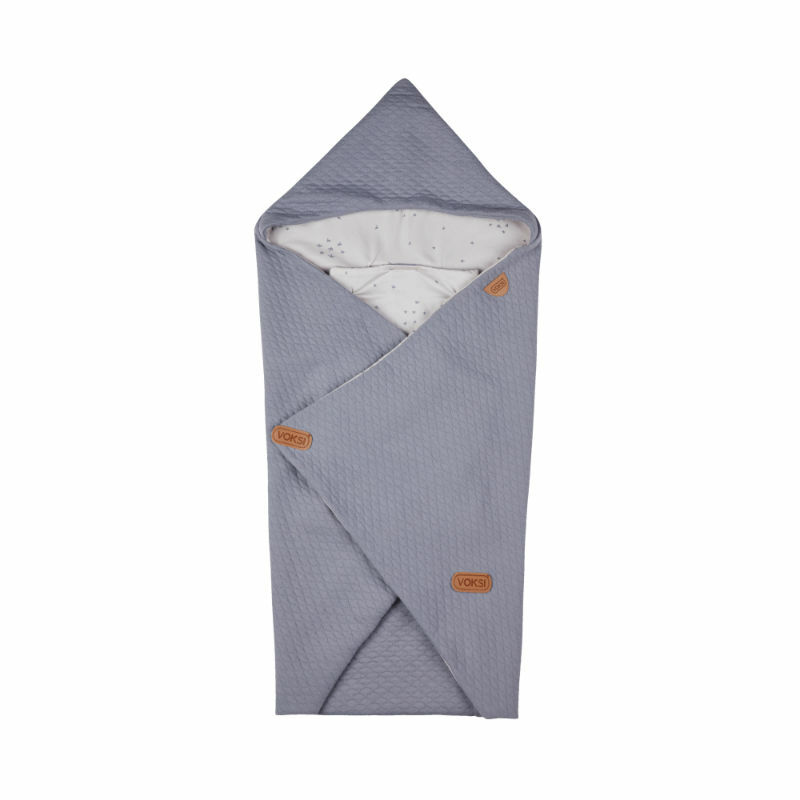 Made from 100% soft cotton fabric with a quilted finish, the wrap is breathable to keep your child at a comfy temperature. 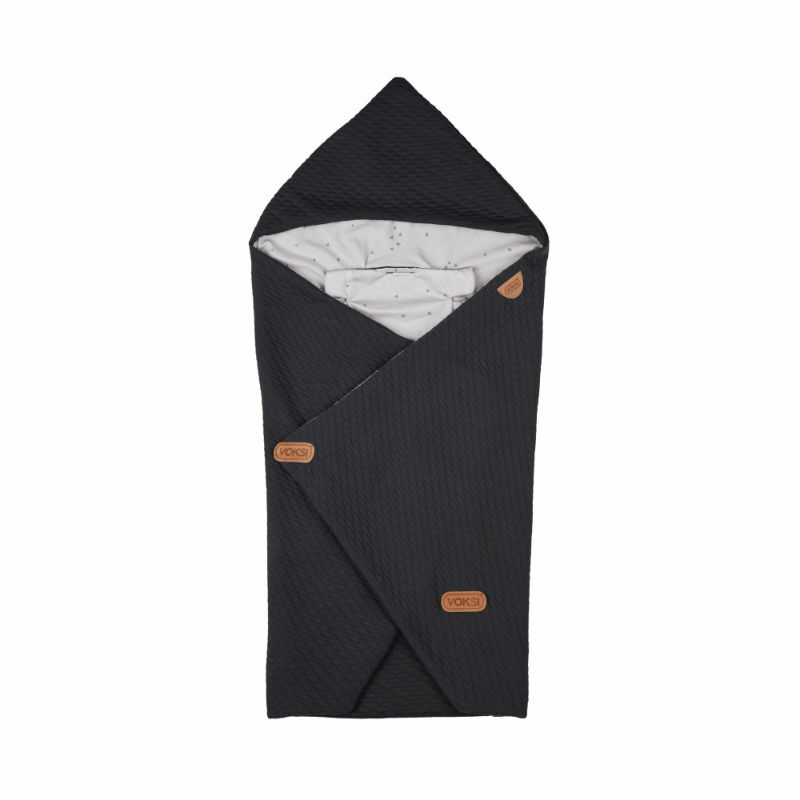 You’ll love the unstructured shape which gives you the freedom to fasten the wrap snugly around baby or quickly loosen it with the Velcro openings to allow extra ventilation. 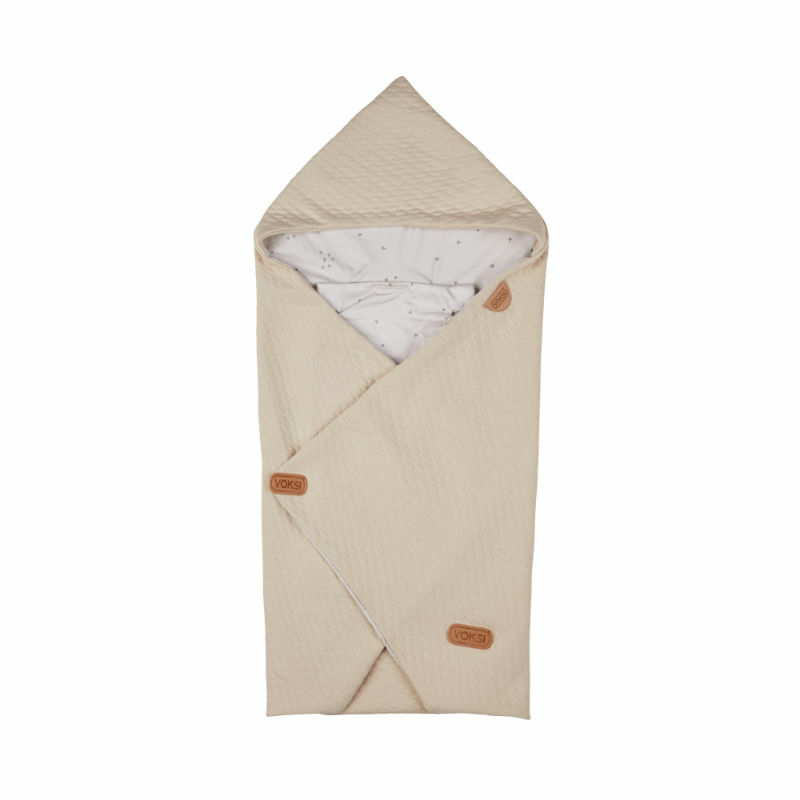 There’s also a little hood to keep baby’s head snug and protected. to mirror the smooth stones you find while wandering the river’s edge. to reflect the storminess of brooding winter skies. to conjure images of wild and windswept beaches. To complement these earthy colours, we’ve lined the Baby Wrap with a print of delicate hand-drawn stars, adding a dreamy look inspired by the galaxy above. The hardest part will be deciding which colour to choose! As always, all parts are certified according to the Oeko-Tex Standard 100, Class 1.